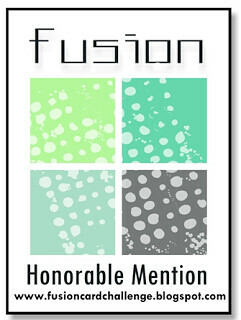 Honorable Mention at Addicted to Stamps!! I started with stamping only the bear and the butterfly, using Hero Arts Charcoal ink. I wanted to color the bear blackish-grey, hence the color choice. In fact, the original idea was just to have the bear and the butterfly in the card.. you can see how that ended up! Finally I ended up with this card. The sentiment is from the same stamp set. I added a few splatters before adding it to the panel and adding it to a grey card base. This entry was posted in Card Challenges, Cards With: One Stamp-set and tagged #AddictedToStamps, #Cards, #FusionCardChallenge, #GlobalDesignProject, #HandmadeCards, #SovushkaSlaviaChallenge. Bookmark the permalink. Super cute Ashwini! Love your coloring! Super cute and adorable, Love that scene and stamp! Its a Good card to make my day Happy Ashwini ! Loved how the card evolved from its initial design ! Could not be cuter! I love this aqua blue along the base of the card. Sweet! Thanks for playing along with this week’s Wheels Challenge at the Global Design Project! This is adorable! Love the fun image and sweet colors! Glad you joined us at Fusion! A polar bear on a bicycle… perfection! What a very cool card! Thanks for joining us at Fusion! Ashwini, this is so very adorable and cute. That bear give me a big smile. And your colors that you choose are perfect for the scene. Just lovely! I love this card, it is clean and simple and the colors are just right! Beautiful! Thank you from Sovushka Slavia!